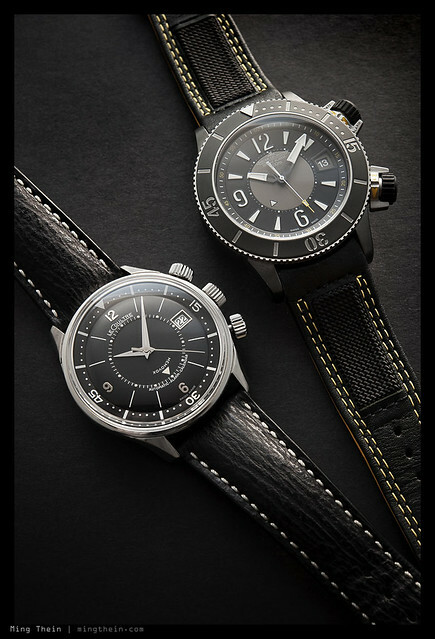 It seems to be Jaeger-LeCoultre month here – which of course isn’t at a bad thing at all! 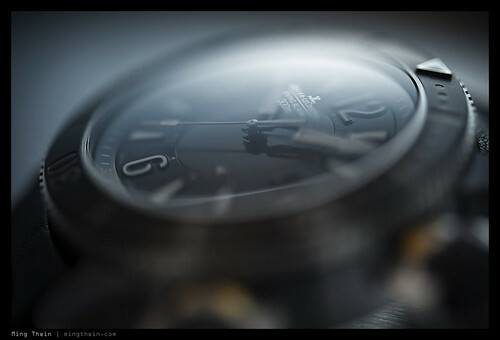 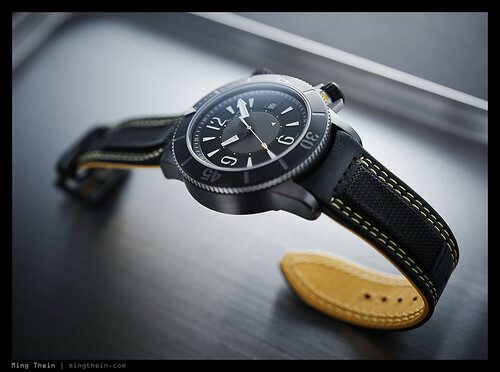 I recently had the opportunity to photograph the uncommon JLC Master Compressor Navy Seals Alarm Beverly Hills Boutique Edition (what a long name). 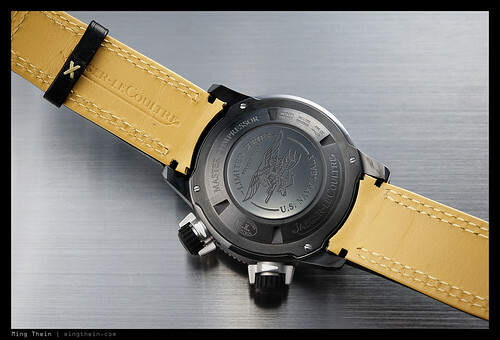 It differs from the standard edition in a) it’s very limited production run; b) the yellow accents on the compressor crowns and strap; c) the logo printing on the underside of the sapphire crystal; d) the most obvious part, the anthracite case. 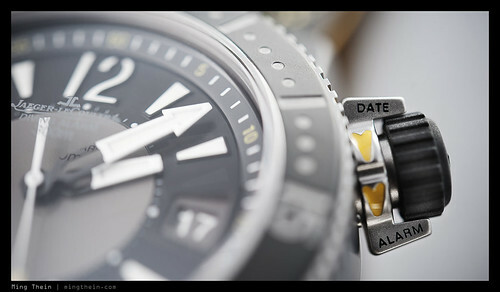 As usual, all images may be clicked on for larger versions. 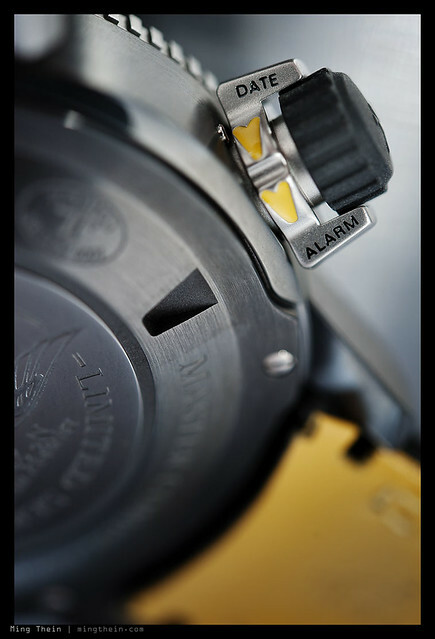 The movement is the same as the regular model, subject to the 1000 hour Master Control test and equipped with both automatic winding and a loud and very functional alarm. 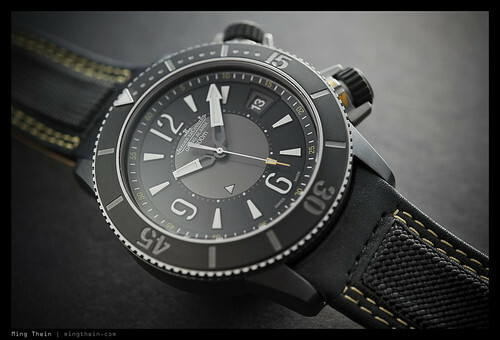 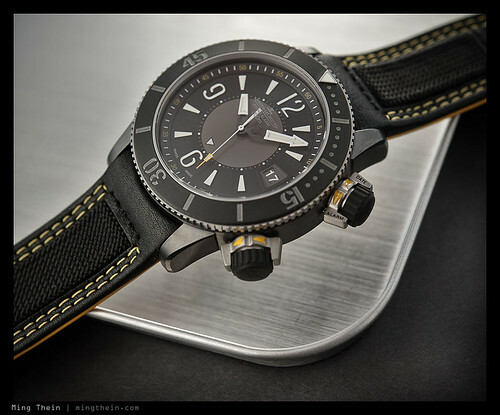 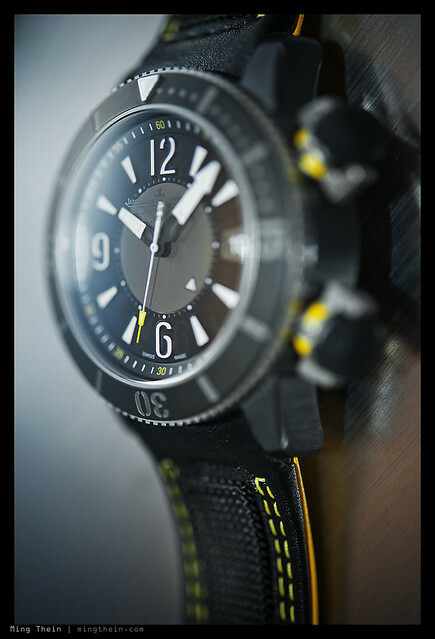 Being a diver, it also has a functional 200m depth rating and locking compressor crowns to maintain water resistance; I’m just not sure how many submersions that nice leather strap will tolerate, though. 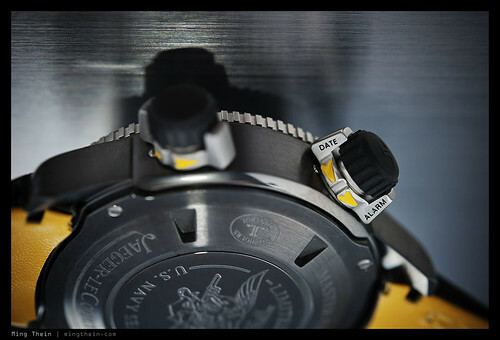 There’s also plenty of luminous material and easily readable hands, much like its regular production cousin.